Michelle Flores, Author at Leslie Schreiber, P.A. So far Michelle Flores has created 16 blog entries. 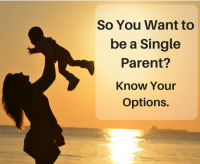 So You Want to be a Single Parent? Preimplantation Genetic Testing: Should You Be Screened?